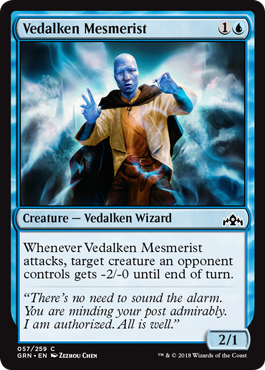 Vedalken Mesmerist has convinced me that it’s going to play well, especially in Izzet. This can help you push through damage and make profitable attacks, especially when you add some combat tricks to the mix. Blue isn’t the best color for this, as it would be a lot more exciting in white.